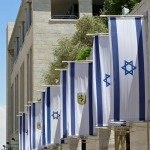 The Israeli Supreme Court building is Jerusalem's site for conspiracy theorists and lovers of Freemason iconography. Actually, the building is a lovely example of modern Jerusalem architecture and well worth a tour for its own sake. The New York Times even called it "Israel's finest public building." You can make up your own mind after you take the guided tour whether you want to appreciate it for what it is, or choose to side with the Dan Brown aficionados. It all began when Dorothy de Rothschild wrote to the Israeli government and offered to build a home for the Israeli Supreme Court. Until then, the court had been housed in rather unimpressive digs for such an august institution. There were three stipulations attached to her gift: she got to pick the site, she got to choose the architects and no one would ever know what it cost to build it. The building was designed by Ram Karmi and Ada Karmi-Melamede, who, rumor has it, are descendants of a close associate of the Rothschild family several generations back. True or not, they are two of Israel's most recognized architects, and for good reason. In an imaginative blend of old and new, both in building materials and in design, the architects sought to highlight Jerusalem’s unique merging of ancient sources of wisdom and modernity. Many of the structures elements were inspired by verses in the Torah relating to justice or recall ancient Jerusalem landmarks. For example, the pyramid at the heart of the law library was inspired by the tombs of Zechariah and Absalom in the Kidron Valley and the stream in the courtyard is there because of Biblical verses that compare justice to water. It is connected by a walkway to the Knesset, Israel's parliament building, which was an earlier gift of Dorothy de Rothschild's husband. 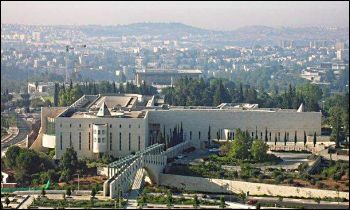 The Israeli Supreme Court building has been praised as a serious attempt to integrate the multitude of building traditions in Jerusalem. 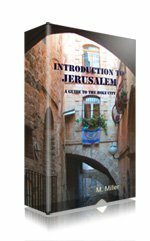 The wide-ranging references to Jerusalem traditions and religious sources make a guided tour of this place simply fascinating. I highly recommend it – this is a really cool building, and even more so once you understand what the architects were doing. Of course, all these references are also what make the Supreme Court the focus of such attention from conspiracy theorists, who relish the overload of symbolism to be found, going on at lengths about the ominous Masonic meanings inherent in the copper pyramid, Egyptian obelisk, motifs of light and dark, Asian gardens and, even, the Greek meaning of Dorothy's name ("gift of G-d"). Whether you're into Masonic iconography or simply appreciate good architecture, enjoy your visit here – it can be lots of fun. 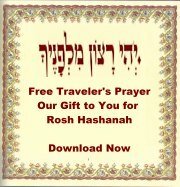 Guided Tours for groups of more than 10 people, are available by advance reservation. Call 02-675-9612/3 to book, or for more updated tour info during the months of July, August and holidays.